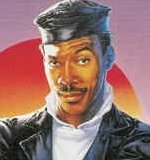 1) What city was Murphy's character Axel Foley from in "Beverly Hills Cop"? 2) Horror meister Wes Craven directed which Eddie Murphy flick? 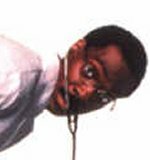 3) What was the name of Eddie's sinister alter-ego in "The Nutty Professor"? 4) What was Eddie's (main) character in "Coming To America"? 5) What were the main villains of "Beverly Hills Cop II" up to? 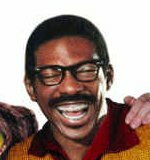 6) What did Eddie Murphy's movie-star character get caught doing on film in "Bowfinger"? 7) Which Murphy movie DIDN'T have a sequel? 8) Eddie Murphy provides the voice for which character from Shrek? 9) Eddie co-stars with which actor in Another 48 Hrs.? 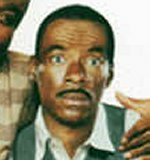 10) In which movie die Murphy co-star with Richard Pryor? Click on the quote to hear the Murphy quip, then match it to the flick it is from. An extra flick is in the list to spice things up.